A file photo of the IRS headquarters building in Washington, D.C. Prepare your calculators. 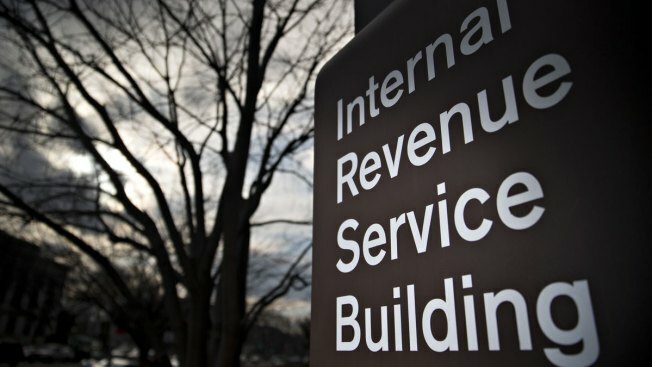 The Internal Revenue Service has updated its tax brackets for 2019. This year marks the first under the new Tax Cuts and Jobs Act, an overhaul of the tax code that resulted in lower individual income tax rates, a doubled standard deduction and the elimination of personal exemptions. For the new year, the IRS has bumped up the individual income tax brackets, adjusting them for inflation. The standard deduction has also increased for 2019, rising to $12,200 for single filers (up from $12,000 in 2018). Married joint filers will be eligible for a $24,400 standard deduction, an increase from $24,000 in 2018. Meanwhile, heads of household — that is, filers who are single parents — are getting a $350 boost to their standard deduction. It will be $18,350 in 2019. Personal exemptions, which were eliminated from 2018 through 2025 as part of the Tax Cuts and Jobs Act, will remain at zero. If you're putting money away in a retirement plan, you can save a little bit more in 2019. The IRS boosted the employee contribution limit for 401(k), 403(b) and most 457 plans to $19,000, reflecting an increase from $18,500. Savers age 50 and older can put away an additional $6,000. If you have an IRA, you can put away $6,000 in annual contributions in 2019. That's up from $5,500. Catch-up contributions for savers age 50 and older remain at $1,000. Filers should take note that in 2019, the IRS will do away with the individual mandate — the fine that people pay for failing to maintain qualifying health insurance coverage. On a per-person basis, this penalty added up to $695 per adult and $347 per child under age 18. Be aware that if you went without coverage in 2018, you'll likely be subject to the fine when you file your taxes in April 2019. There are a series of information forms you'll need to complete your 2018 return and report your coverage status to the IRS: They are Form 1095-A (for coverage purchased in the marketplace), Form 1095-B (sent from insurers to covered individuals) and Form 1095-C (for health insurance offered at work). The Tax Cuts and Jobs Act also nearly doubled the amount that decedents could bequeath in death — or gift over their lifetime — and shield from federal estate and gift taxes, which kick in at 40 percent. Before the tax overhaul, this so-called gift and estate tax exemption was $5.49 million per person. For 2019, the lifetime gift and estate tax exemption will be $11.4 million per individual, up from $11.18 million in 2018. Finally, the annual gift exclusion — the amount that you can give to any other individual without having it count against your lifetime exemption — will remain at $15,000 per recipient for 2019. He just had $135,000 in student loans forgiven. Here's how he did it.